After running our Educator’s Course, Bilingual and Multilingual Learners from the Inside-Out for the past 2 years, we are pleased with the impact it’s making in schools, with teachers and of course, in the lives of bilingual and multilingual learners (BMLs). While we knew that empowering teachers with research and best practises would lead to positive results, we never imagined what a catalyst this course would be for promoting social justice. Rather than simply being a passive, ‘theory-based’ programme, our participants take action. Many share their anecdotes and testimonials with us, describing how their ideologies have changed and how they are updating their policies to reflect their new understandings about bilingual and multilingual learners. The greatest eureka moment for our participants, however, is learning about the value of students’ home languages and cultures. They learn how these are valuable assets that can be accessed for learning and in supporting the development of new languages, like English. When participants come to view bilingual and multilingual learners not simply as ‘ESL students’ but as individuals with ‘cultural capital,’ it’s a win. Now, we’re watching participants become advocates for their students. They’ve learned how to help their BMLs better access learning content through culturally-responsive teaching, how to promote and maintain the languages and cultural identities of learners and better engaging with parents to educate them about the importance of their home languages and cultures. While we can assume that while all of these (and similar) policies are created with the best of intentions, they are actually extremely harmful to BMLs and their families-not to mention that they infringe upon the child’s rights to their own languages and cultures. Recommended approaches with BMLs are often counter-intuitive to what comes natural and this adds another layer of complexity. For example, it might sound strange when we tell parents to keep speaking home languages if they want their child to learn English. It’s not what parents would expect to hear. In fact, having a strong language makes learning a new language easier. Since research shows that most teachers never receive any training to understand BML issues, this makes it easy to understand why bad practises and myths continue to creep into school policies and practises. From our experience working with schools around the world, we’ve seen similar issues everywhere. 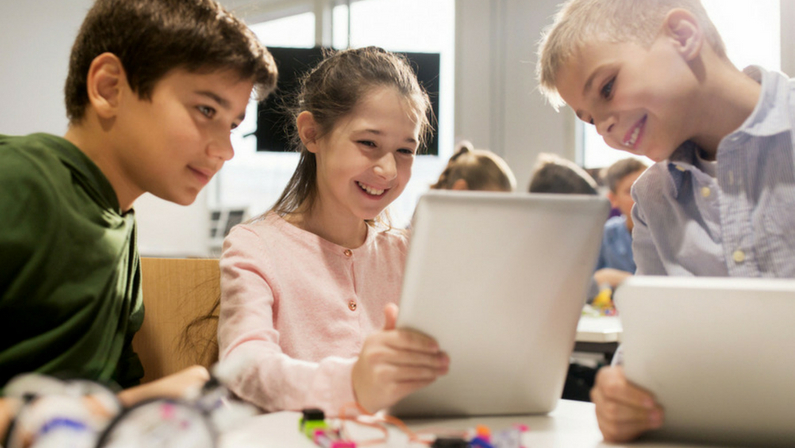 Many administrators and school leaders themselves are simply not aware of the research and the rights of the child to maintain their home languages and cultural identities . There is rarely a common knowledge-base to empower teachers with accurate, research-based information. Starting this September, 2018, we’re working to change this. We’re organising a global campaign running from September 2018 – September 2020 called ‘My Home Language is My Right.’ We’ll train over 3,000 teachers in English-speaking schools around the world in our 8-week course. We want every teacher to be empowered with the right information. 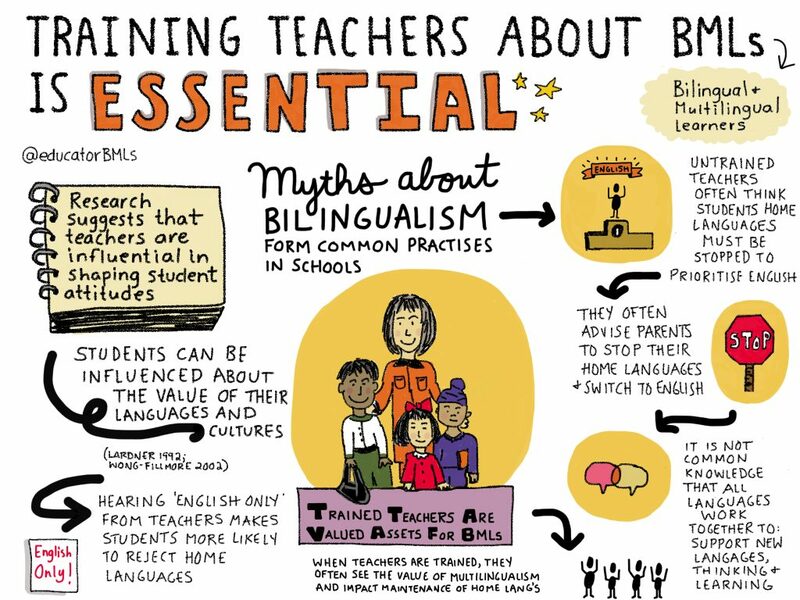 By training one teacher in every school, we’ll create Home Language Ambassadors who will then deliver a workshop to their colleagues about the important research and positive practises related to BMLs. This elevates the expertise of all teachers in the school so they can support BMLs and advise parents accurately. This will also do away with harmful practises that can cause BMLs to abandon their home languages and cultural identities. I am a Hindi language facilitator from India. I not only facilitate native learners to learn Hindi but also teach expats from different nationalities. When i speak little bit of Marathi, Punjabi, Malayalam, Kannada i get connected to my learners. I will be celebrating MOTHER TONGUE DAY in my school on 28th of Feb. Pl share ideas how best i can do this to rock the day!! !